People skills are the most important skill you can have when it comes to creating portraits and you will learn how to improve those skills. You will also come to understand the three languages of posing and how critical they are to posing any subject in a natural and relaxed way. Michele is a 25 year veteran in the photography industry and is passionate about giving back the knowledge and experience given to her by her mentors. From her funny stories, her high energy and noteworthy tips and techniques – this is a monthly meeting with Michele Celentano that you will NOT want to miss. Click for the Official Sign-up for the monthly meeting with Michele Celentano! LIMITED SEATING!!! When filled get on the WAIT LIST! We will try to accommodate as many as possible. After 25 years of experience, her passion for transforming photographs into treasured memories for families only continues to grow. workshop about photographing families that was viewed globally by more than 30,000 photographers. hold this honor. 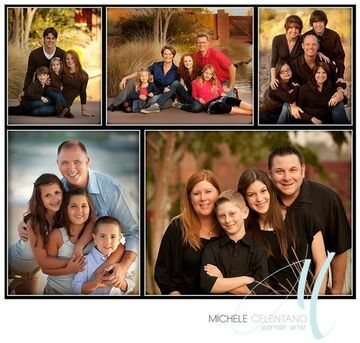 Michele and her images have been featured in numerous advertisements for Canon and their professional line of cameras. She is a regular and popular presenter for Canon at trade shows through the county. numerous books on the art of photography. In addition to running her portrait business, Michele continues to travel internationally, to teach and lecture on the subject of portrait photography. Click for the Official Sign-Up!